Cover ups are a must-have for swimming season, but they often only come in boring black or plain white. 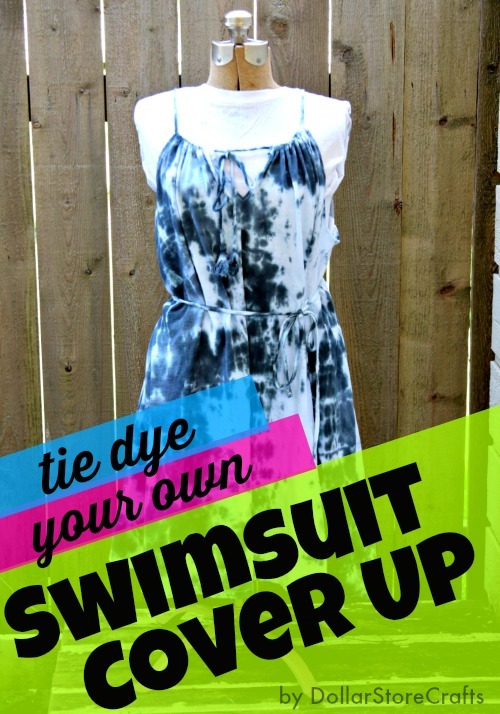 No need to wear a ho-hum cover up this summer, though -- just customize your plain cotton swimsuit cover up with the help of Tulip One Step Tie Dye. 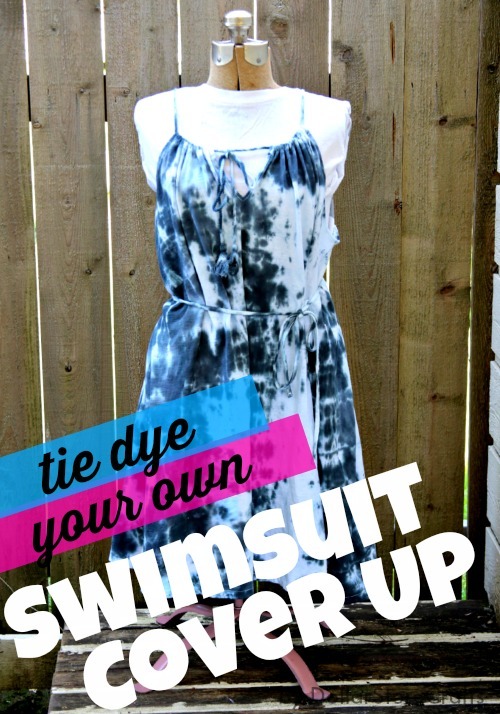 The process of tie dyeing is so simple, you will want to make several of these unique tie dyed swimsuit cover ups. 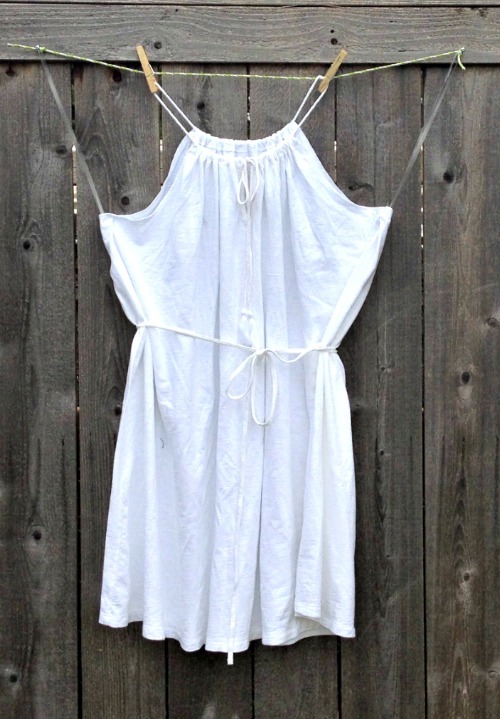 This is my plain white cotton swimsuit cover up (I got it at Target in case you want to get the same one!). Make sure the cover up you choose is a natural fiber such as cotton. 1. Before you begin, launder the cover up with laundry detergent, according to garment tag directions. 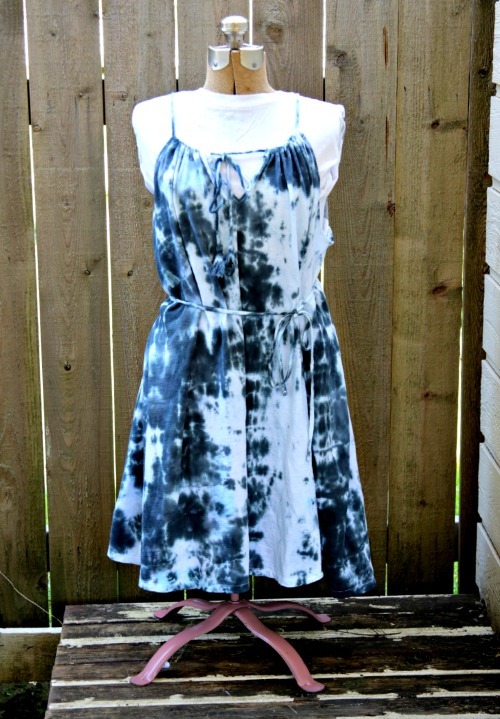 You don't need to dry it in the dryer, as it's easier to dye when it's wet! 2. Twist, fold, or scrunch your cover up, and secure it with some rubber bands or zip ties. For my cover up, I loosely pleated it lengthwise, and put several zip ties on it. 3. 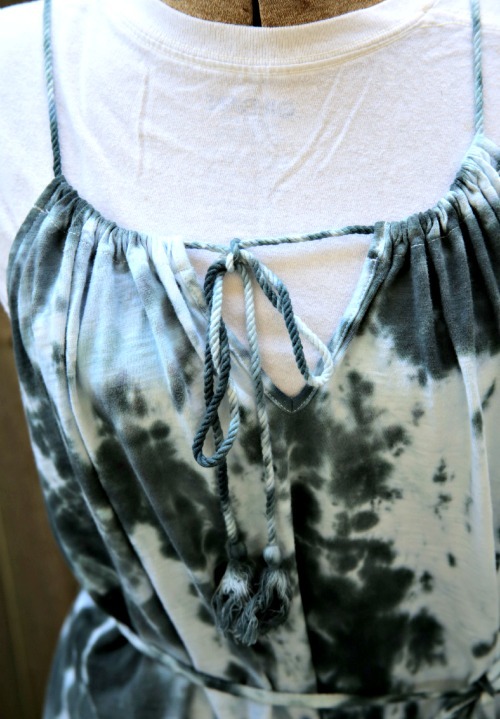 Mix your Tulip tie dye according to the package directions (that just means filling the squeeze bottle with water and shaking until the dye powder is mixed -- so easy!). 4. Put the prepared garment into a plastic shoebox or bucket and apply the dye. Don't be afraid to use multiple colors! 5. 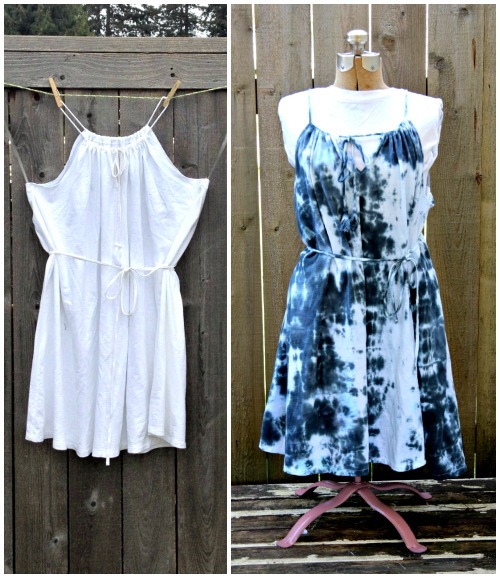 Put the dyed garment into a plastic trash bag or zip-top bag, and let it sit for 8+ hours (or overnight). 6. My favorite part -- the big reveal! After 8+ hours have passed, open up your bag, remove the zip ties and rinse the garment in the sink until the water runs clear. 7. Launder the cover up alone to finish it up! Wear it to your local pool and watch the admiring glances! For this cover up, I like the haphazard pattern -- kind of like an inkblot effect. Another cool detail - the cords for the straps are made of cotton, so they dyed up too! I love the dyed tassels! 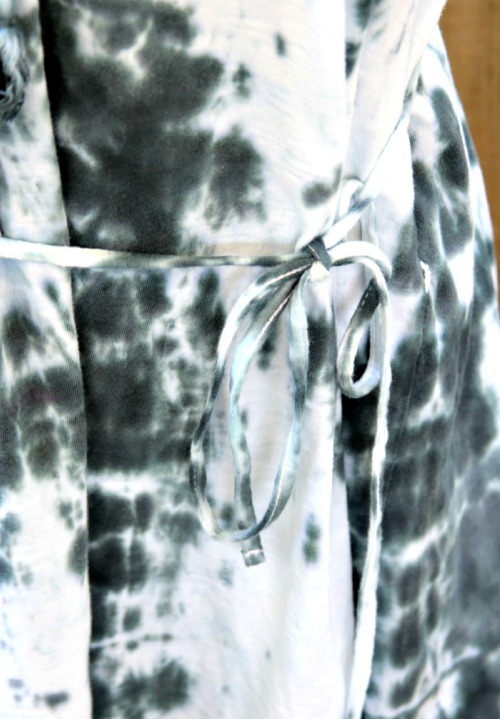 You could also over-dye it with different colors to create a completely different look.